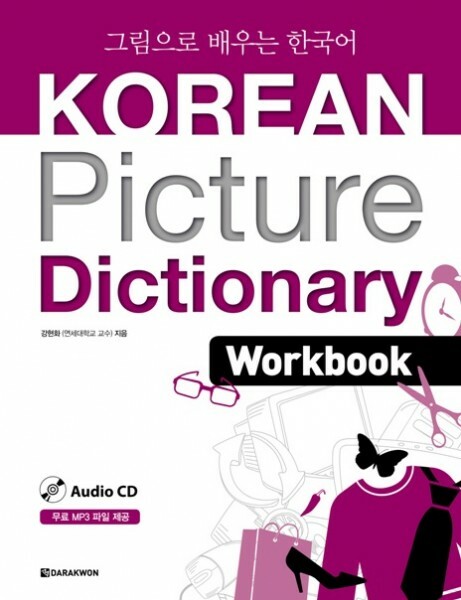 Produktinformationen "Korean Picture Dictionary Workbook mit Audio CD"
The Korean Picture Dictionary Workbook is a learning aid based on the previously published Korean Picture Dictionary. The Workbook helps learners by showing how a wide variety of words are actually used in real life. Moreover, it also helps learners develop general skills for learning vocabulary as a means of communication. ① Vocabulary study is divided into three stages: Recognition Stage, Confirmation and Strengthening Stage, and Usage Stage. ② Practice exercises integrate the four areas of language, listening, speaking, reading, and writing, so that learners can better understand the precise meanings of words. ③ Collocation and word formation rules provide a groundwork for the effective mastery of related words and further vocabulary expansion. ④ A wide variety of practice activities are included to stimulate learner interest, while individual word illustrations are presented not as simple lists, but in relation to how they are actually used in real life. ⑤ Each unit concludes with comprehensive practice and review exercises that give learners a chance to convert what they have learned into their first language. Weiterführende Links zu "Korean Picture Dictionary Workbook mit Audio CD"
Unser Kommentar zu "Korean Picture Dictionary Workbook mit Audio CD"
Kundenbewertungen für "Korean Picture Dictionary Workbook mit Audio CD"